We know there are many differing situations and decor that may at times present challenges. It is our intention to make each of those opportunities that arise, as easy to conquer as possible. Our full line of Condiment Stands, Microwave Stands, Coffee Stands, and Coffee Carts is one way we can help. Offering all of them in a variety of colors is like icing on a pretty darn good cake. Take a look, give us a call. 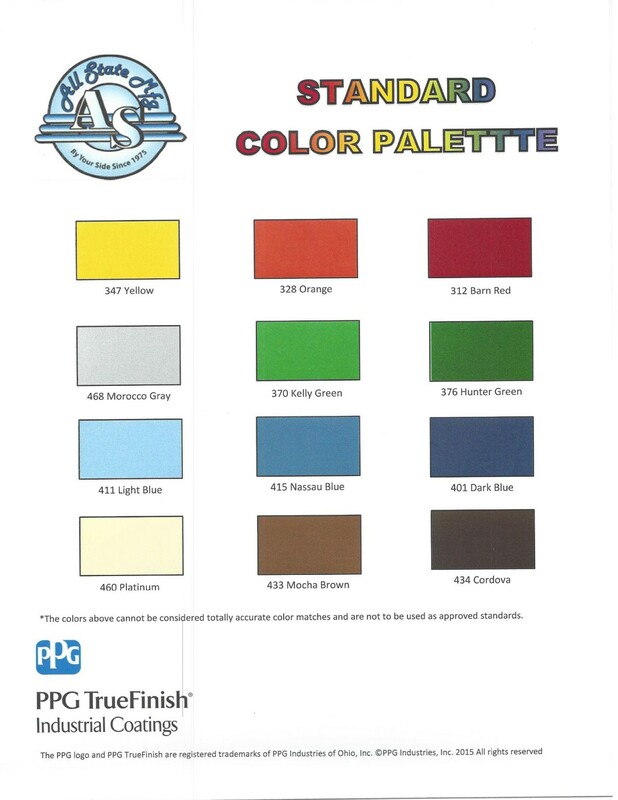 With our new PPG partnership we can offer a variety of colors with very short response time. Aside from the standard colors we will keep on hand, any color to match a client company’s color scheme is also doable with only slightly more time. Please remember colors sometimes look different over the Internet and differing computers. While we have done our best to preserve likenesses, There are always some differences in what you see and what is ultimately presented. NOTE: If you click on the image twice to full size, it may be printed for presentation purposes. PPG Colors available.